Dark, rich chocolate cake filled with whipped cream and blueberries. Smothered in hot home-made fudge sauce. Pecan nuts abound in this flavoursome pecan pie. Served hot with icecream. 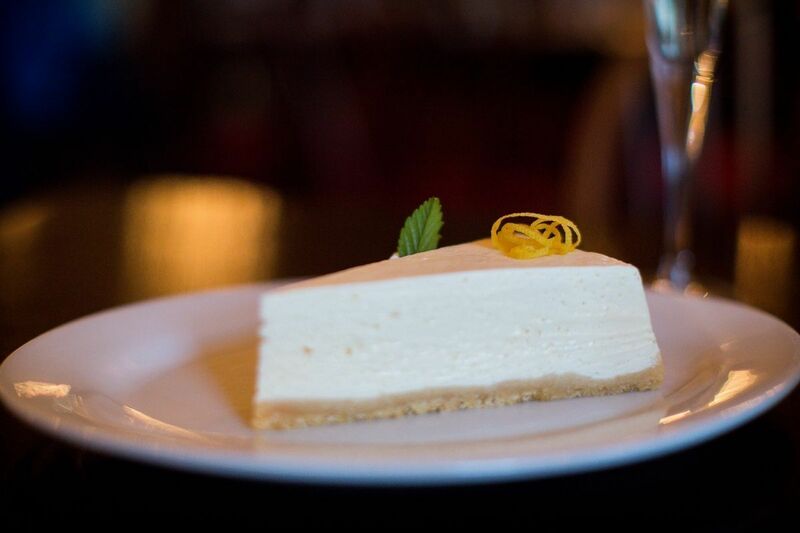 A tangy fresh lemon filling on a sweet crushed biscuit base makes for a memorable dessert experience. Fresh vanilla flavoured panna cotta with tangy raspberry fruit sauce. Traditional and refreshing Italian ice cream. Ask your waiter for todayâ€™s flavours. Vanilla icecream smothered in a home-made hot fudge sauce, topped with cream, chopped nuts and grated chocolate. ‘Pick-me-up’. Consists of a layer of sponge cake soaked in amaretto, a rich mascopone cream topping and a dash of chocolate. Your choice of chocolate, caramel or strawberry topping on vanilla icecream. Sprinkled with chopped nuts. POA: The traditional Italian drink made from refermented grape must. We have a range of quality Grappas available. Please ask the bar staff to assist you with our selection. This bitter, aromatic spirit is made from over 40 herbs and spices. The recipe is a secret, and was created by the young Maria Scala in 1845 in Milan as a medicine. Also made with a blend of over 40 herbs and spices. This delicious mint infused version of Fernet-Branca is sweet and light. A clear, amber-coloured Bitters that is somewhat sweet with a spicy, citrus taste. This Amaro is somewhat less bitter than many of itâ€™s counterparts. Another member of the Amaro family. Made entirely of natural ingredients, a pure liqueur crafted using a mixture of herbs roots and citrus rinds. Still made to Salvatore Avernaâ€™s original 1868 recipe. A lemon liqueur produced in Southern Italy, made from lemon rinds and sugar. It is bright yellow in color, sweet and lemony, but not sour as it contains no lemon juice. This classic Sambuca is made using aniseed and a well-guarded secret formula of spices. Unlike other Sambucas which use a variety of herbs to achieve a licorice taste, Lazzaroni draws most of its flavour exclusively from anise seeds. We have a range of top quality blended and single malt whiskies available. Please ask one of the bar staff to take you through our selection.